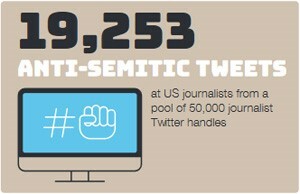 According to the ADL, over 19,000 anti-Semitic messages were directed at 800 journalists from August 2015 - July 2016. ADL asked ppl all over the world to state whether these 11 statements about Jews are true or false. 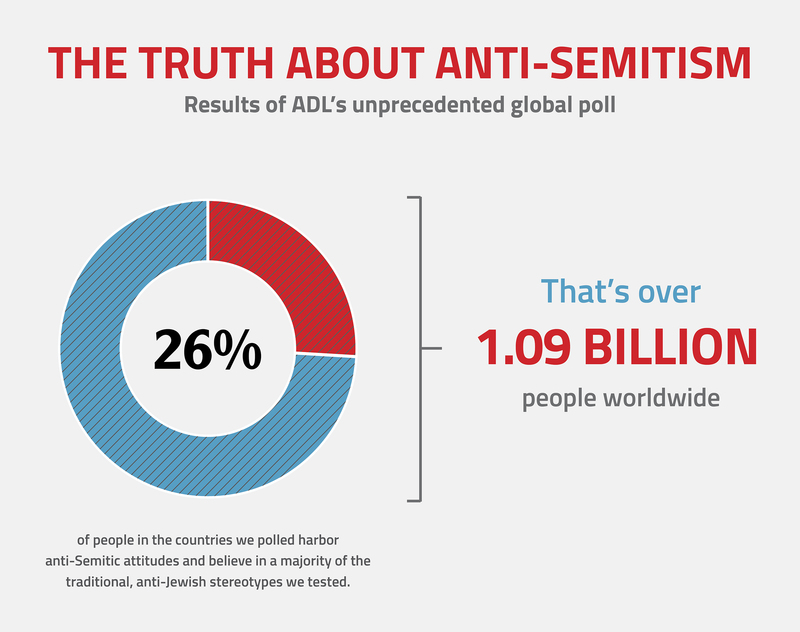 Those who said 6 out of 11 are true were classified as harboring anti-Semitic attitudes. 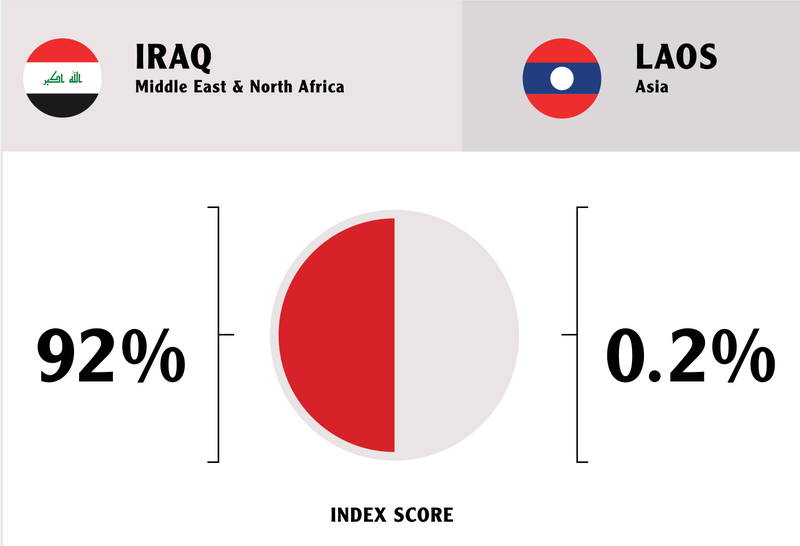 The #ADLGlobal100 study measured levels of anti-Semitism by country. According to an ADL report, from August 2015 – July 2016 there were 2.6 million tweets containing language frequently found in anti-Semitic speech.